You ever have one of those dreams where you are flying? Or even worse if you are falling from a great height? This crazy cat decided to have a nice nap in the hollow wing of this light aircraft. Unluckily for the snoozing cat, his flying dreams were about to become so very real. Somehow the pilot of this craft missed our feline flyer or his pre-flight checks. 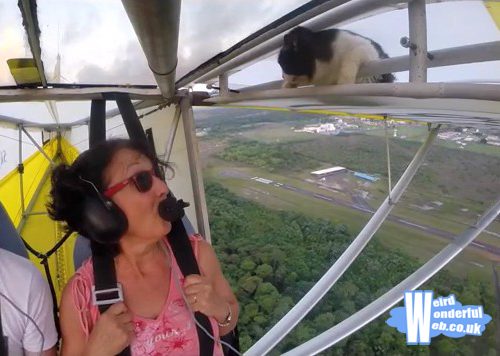 Watch the realisation, firstly of the pilot, then the passenger when they spot the terrified animal. Queen's guards on the rampage!